As you can see from this muddy patch it's been a little rainy in Cape Town. 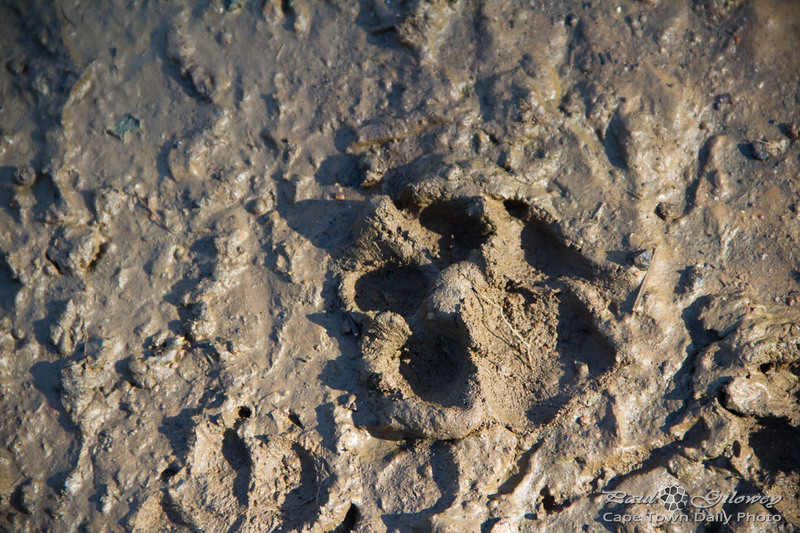 I spotted this spoor while walking on a hiking trail - what kind animal do you think left this trail? Don't you think it looks somewhat like Lion spoor? Posted in General and tagged animals, spoor on Saturday, 23 June, 2012 by Paul.